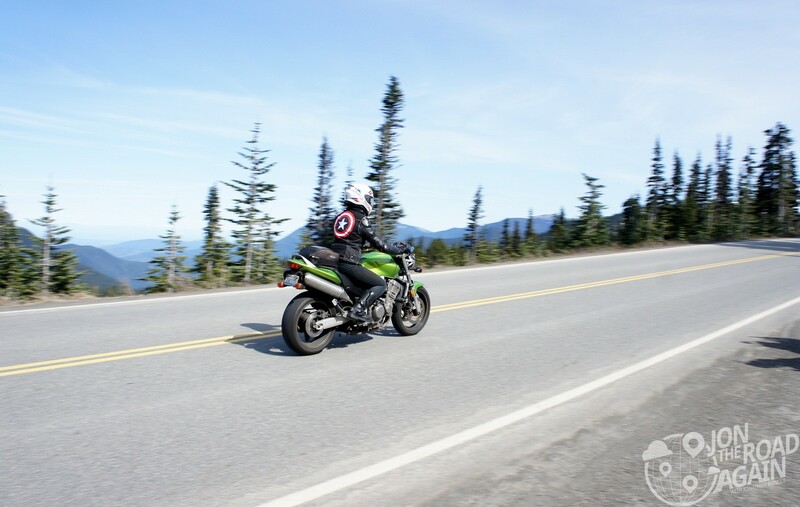 Day two of the free national parks weekend sees me leading a bigger group of 21 hooligans from Seattle to Hurricane Ridge, my favorite northwest motorcycle road. 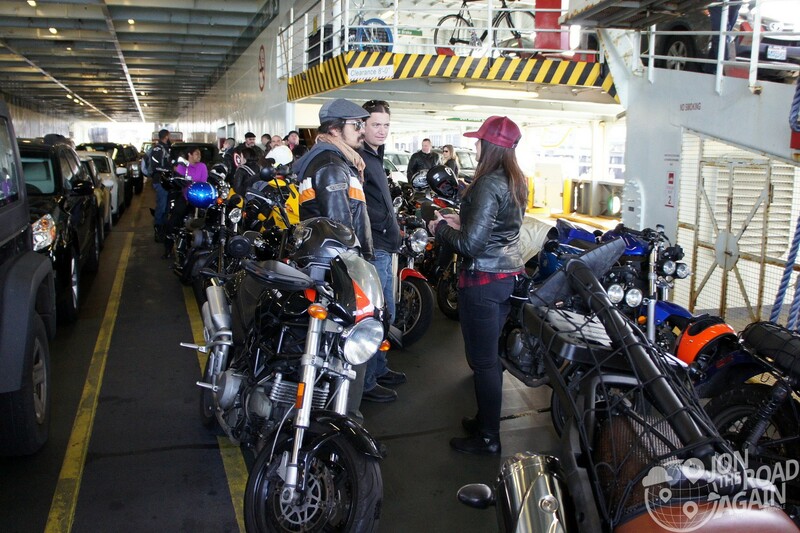 I always like to fit a ferry ride into my motorcycle trips and this one is no exception. We boarded to Seattle to Bainbridge ferry at 10:35 and made our way to Poulsbo for lunch. My go-to lunch on this route is Tizley’s Europub in the historic downtown. They accommodated all of us (I called the night before to give them a heads up) and were just as great as they are when I’m here alone. The schnitzel sandwich is highly recommended, but breakfast looked great too. The last call for breakfast items is noon, so be aware of that. After Poulsbo you’re off across the Hood Canal bridge which offers beautiful views of the Olympics to the left and Mount Baker to your right. The ride is a two-lane road with a few opportunities to pass slower traffic. If you’re in a hurry it will be a frustrating time. I had a group of 21 to keep together and for the most part we managed to make good time into Port Angeles. 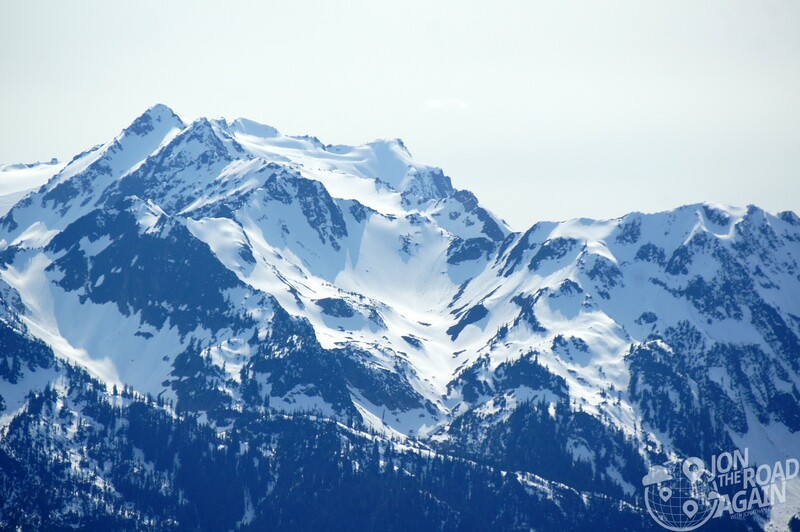 From Port Angeles, you’ll make a left at Jack in the Box and from there you’re only a short ranger station stop away from the top of the Olympics. From there the group spread out a little bit with each rider riding their own ride. Whenever you get to the top, you get there – just as long as you get there! We had one rider take a spill, but no harm done. 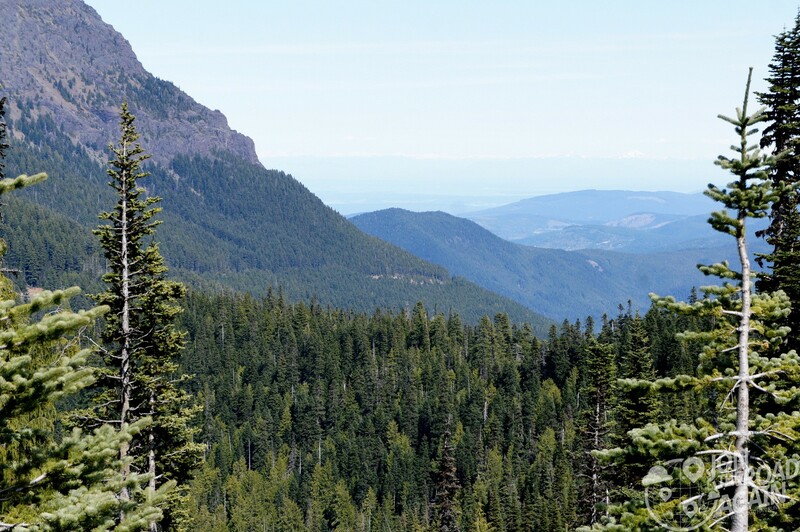 Hurricane Ridge’s twisties are well-maintained and pretty predictable. I would single out three turns that still fool me, even though I’ve ridden the road a number of times. You’ll need to watch for rock slides and loose gravel. The road has always been pretty clear, but there are spots where you’ll see some debris on the road. Secondly, you have to be on your toes because the turns are not fully marked. There won’t be signs at every turn because that would be way too many signs. 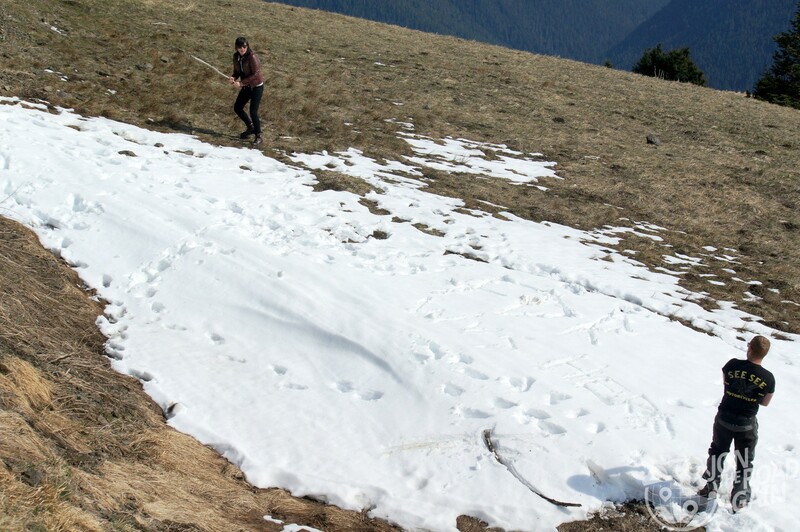 There won’t be any guardrail as you get higher on the mountain either. If you go off, it’s a long way down. Thirdly, there is a lot of wildlife in the park. I saw numerous deer near the road. You don’t want to hit one of those. Finally, cagers and park rangers. Hurricane Ridge isn’t a parking lot like Rainier usually is on the weekends. Being so far from Seattle has it’s perks as far as park traffic goes. You will still see traffic and from my experience are usually very polite in letting motorcyclists pass. If there’s no turnout or the cager won’t use them, there are ample straightaways to make a pass if you wanted to. Keep an eye out for the pine cone police, too. 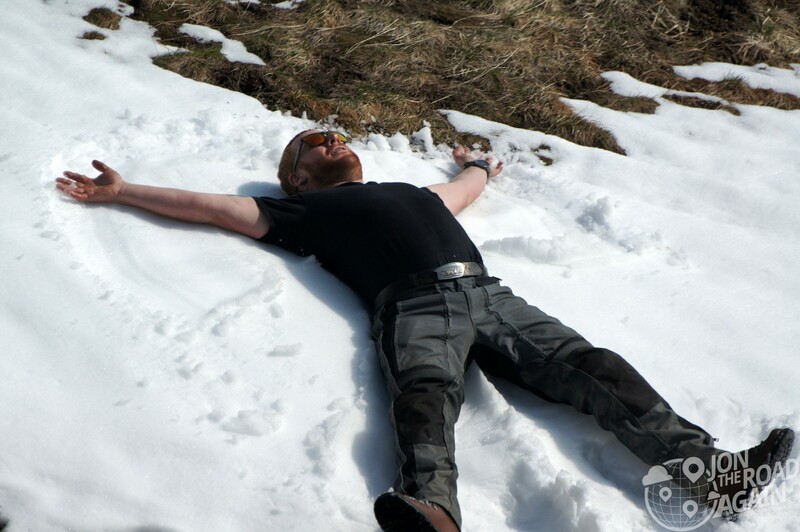 We didn’t see any today but we saw plenty yesterday at Rainier. Don’t be stupid and ride your own ride. To the top! It can be a long journey from Seattle. We braved broken shifters, three dead batteries, one group split-up and one slide out. But, as you can see, the pay-off is sweet.